A fabulous picture! I want to be there. Oh my .... 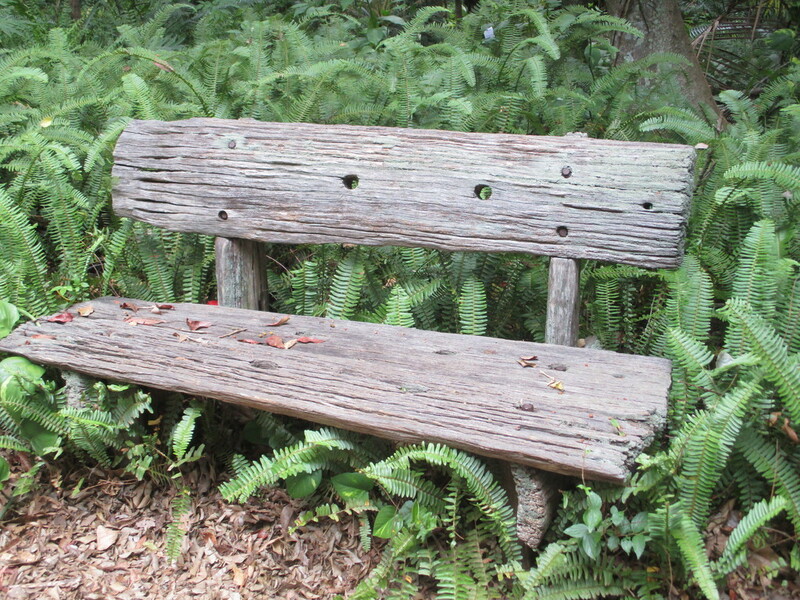 I love this old bench! So charming surrounded by ferns. Great find and shot, love the textures of the bench, fav! Nice place for a rest. Love worn ruggedness of the wood. Looks like that one has been there a long while. Nice find! I love old weathered wood textures. Lovely old bench. Great textures. I like its weathered look! Looks like a nice place to sit and enjoy the surroundings! Slowly the ferns cover the bench! That bench has lots of character! Great find.